Joe Frillman is the executive chef and owner of Daisies, Chicago’s Logan Square vegetable-focused and pasta driven restaurant. Opened in June of 2017, Daisies blurs the line between farm and table. Frillman works closely with his brother Tim Frillman of Frillman Farms to source sustainably and locally grown ingredients. The farm inspires Frillman to emphasize freshness and seasonality when creating Daisies menu, which changes regularly dependent on available produce. Growing up in Prairie View, a northern suburb of Chicago, Frillman was raised in a home that revolved around the table. Every night, family dinner was a central part of the evening: Frillman’s mother would cook for him and his three siblings, which sparked his initial interest in food. Frillman signed up for culinary school at the Illinois Institute of Art in Chicago. After culinary school, Frillman joined the opening staff of Osteria di Tramonto, for Rick Tramonto in 2006. Starting out as a prep cook, within 10 months he worked his way up to the Sous Chef position under Executive Chef Jared Van Camp and the Corporate Executive Chef Chris Pandel. During his time at Osteria, Frillman left spent three months staging at the number two restaurant in the world, The Fat Duck. Upon returning from London, Frillman and Pandel moved to open The Bristol in Chicago’s Bucktown neighborhood. Frillman was part of a team that received numerous acknowledgements such as “Top Ten Best New Restaurants in America 2008” from GQ, and Michelin Guide “Bib Gourmand” 2010 and 2011. Frillman departed Chicago to spend three months abroad, a trip that took him through France, Spain and Italy. In Abruzzo, Italy, Frillman worked on a sheep farm, where he spent time making world-renowned pecorino cheeses, cooking, and learning about the simplicity of Italian food and the importance of sourcing ingredients locally. 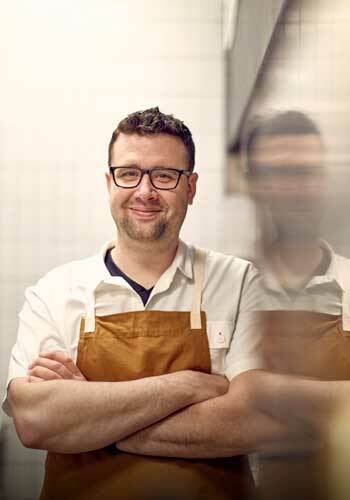 Upon returning to Chicago, Frillman joined the opening staff of Perennial Virant, under the guidance of Chef Paul Virant. It was here that he sharpened his knowledge of pickling, fermenting and canning, and honed his micro-seasonal philosophy. He was named one of Timeout Magazine’s “20 Chefs to Watch” in 2011. After spending a year at Perennial, Frillman joined the opening staff of Balena as executive sous chef. Under his later leadership as Chef de Cuisine, Balena was named one of the “Top 50 Best New Restaurants in America” by Bon Appetit magazine, and a James Beard nomination for Best New Restaurant in 2012. Frillman was named one of Zagat’s “30 Under 30” in 2012. Today, Frillman’s compelling philosophy toward his vegetable-focused menus and seasonality has caught the city’s attention — with Daisies, Frillman seeks to bring his vision of culinary community, creativity, and purpose to Chicago.